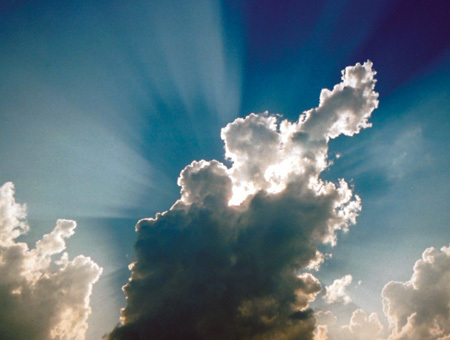 Job Action…Is there a silver lining? OK, so don’t get me wrong…I am not saying that the teacher job action currently being staged in British Columbia is a good thing. It’s not! Most people I talk to – parents, teachers, and administrators – are fed up and would like to see a resolution. But, some of the most important virtues of a school administrator, I believe, are positivity and forward thinking. So instead of focusing on the negatives, perhaps we can ask if there are any positives to be taken from this situation? Is there a silver lining in all of this? We are into month six of job action and unfortunately, there is no end in sight. However, this unrest has provided a new lens with which to look at school issues and culture. Since teachers have not sent home formal reports, perhaps there can be a renewed focus on formative rather than summative assessment. Parents are being encouraged to meet with their child’s classroom teacher informally on a regular basis, rather than waiting to hear how their child is doing via report cards. We’ve known (and stressed) all along that frequent and on-going home-school communication is critical to student success at school. With parents yearning for information regarding their child’s progress in the absence of formal reporting, hopefully home-school communication will be enhanced. Fewer meetings within schools and at the District level has left people feeling somewhat disconnected. Illuminated has been the importance of collaboration, sharing, and being part of a team. Everyone is feeling this. Since administrators are not calling meetings, it is wonderful to see staff members take on initiatives and ask others to join them. We know that schools that have a truly collaborative culture – where professionals yearn to meet and share, discuss and question – are places where teacher and student learning has moved forward, despite labour unrest. District staff and management are being utilized to provide student supervision. This has made busy people a little more busy – no question. However, a recurring comment I have heard is that many who are now being called upon to provide supervision have felt a new and stronger connection to the most important people and places in the District – our students and the schools in which the learn and play. Even more dramatic an example of this clarity of moral purpose is the many teachers who have continued their excellent and extremely meaningful work outside the classroom through athletics and clubs. These people understand the impact of their contributions to a student’s life and schooling experience. This understanding guides these professionals to make the decision to continue with such activities when perhaps, in some places, there is pressure to not do so. So is job action a good thing? Absolutely not. But I think much more can be gained by spending our time learning from the experience, rather than griping about it. I agree with your post. While there are many things that aren’t great about the job-action, those are what they are and they will get better. They will. Instead of focusing on these negative things, it is important to be optimistic and positive and look to the good things that are happening during job action. I would like to add a couple other items to your list. Like you mentioned, while it has not been easy being required to be on supervision so much, it has many benefits. Being new to my school, it definitely has allowed me to get to know the students at my school better. It has also been nice connecting with other district staff – some of whom we would never have had the opportunity to meet or get to know. Possibly the biggest impact of having admin and district staff on supervision every day is the impact on behaviour. Before I started at my school, I had heard that there were many students who had difficulties with behaviour and the office was often full after recess and lunch with behaviour issues needing to be dealt with. I must say, though, there really hasn’t been that much difficulty with the students. Yah, there are a few students who take up a lot of time, but the behaviour difficulties are not rampant, like I thought it would be. It makes me wonder if having admin out there each day is what helps make the difference. Thanks for the post, Antonio. You addressed the “elephant in the room” in a positive manner, like a true leader!